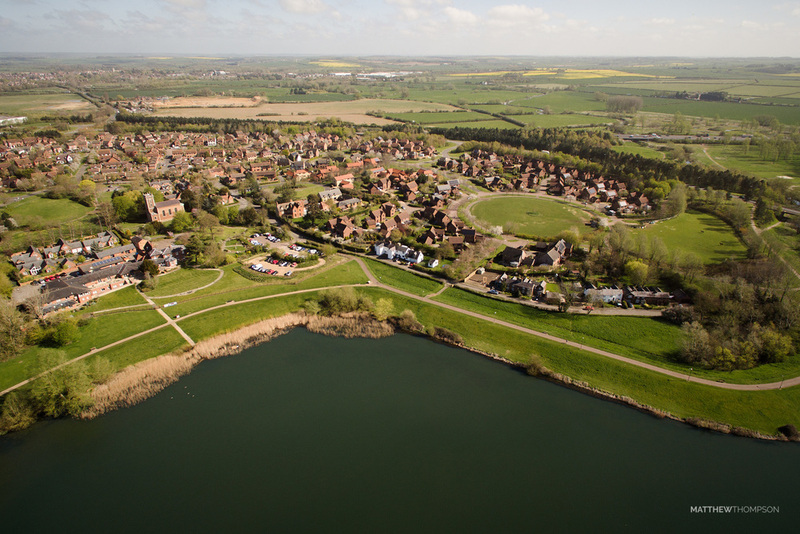 Willen Lake is just one of Milton Keyne's many oases in the city, and doesn't compromise on tranquillity. 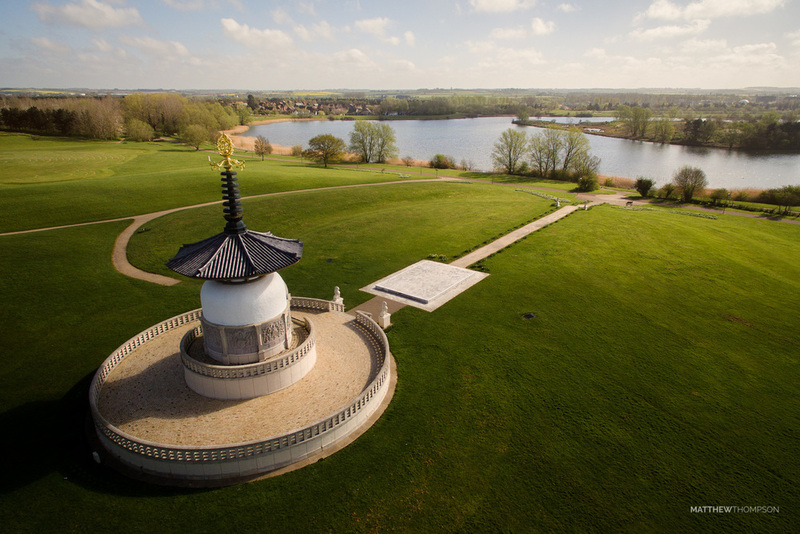 The Northern side of the lake, shown here, is home to the first Peace Pagoda built in the Western world. It was built by the the monks and nuns of the Nipponzan Myohoji as a symbol of world brotherhood. 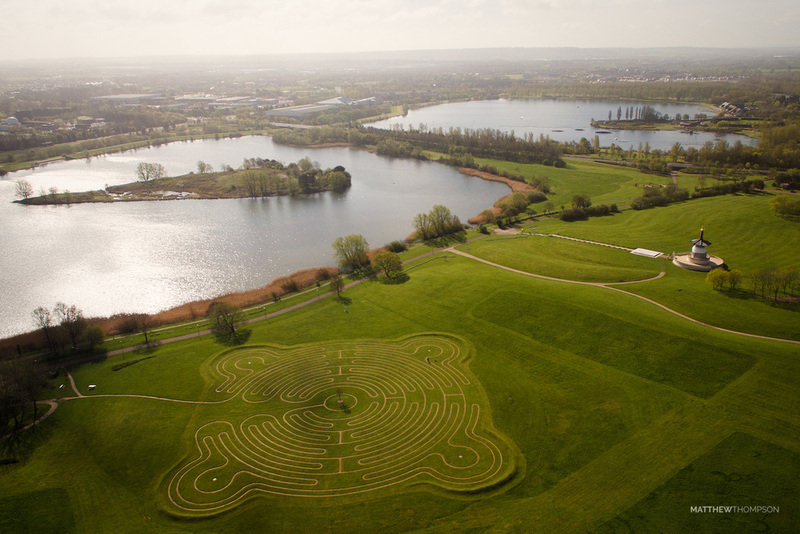 A beautiful Labyrinth is settled into the slopes nearby, overlooking the lake which is home to a huge variety of bird species. A myriad of adventure is found just across the bridge on the south side, including cable-tow waterskiing, sailing, and high-rope courses. Photographed with DJI Inspire 1 X3.